Are you struggling to burn fat? 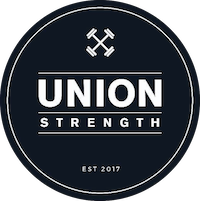 We are now launching our very own Union Strength 30 Day Body Transformation Challenge! We are looking for 10 dedicated women who want to transform their bodies to look and feel amazing in just 30 days! Imagine if you could look and feel better physically while getting results in a short amount of time. Worked with a variety of clients ranging from underweight to obese. Has personally been through multiple body transformations himself (from muscular to fat and fat to muscular) and has been successful at it through proper programming. Comes from an athletic background having competed in multiple team sports as well as powerlifting and bodybuilding. Whether you are a seasoned fitness enthusiast or just starting out, this 30 day body transformation challenge is for you! How active is your lifestyle? Classes can only take place in the mornings. When would you be available for classes? 1. I fully understand that I may injure myself as a result of my participation and I hereby release USG Fitness Sdn Bhd, its directors, and its agents from any liability now or in the future for conditions that I may contract. These conditions may include, but are not limited to, heart attacks, strokes, muscle strains, muscle pulls, muscle tears, broken bones, shin splints, injuries to knees or other joints of the body, injuries to back, injuries to a foot, heat prostration, or any other illness or soreness that I may incur, including death. 2. I have no known physical, emotional or mental condition that would impair my capability to participate fully, as intended or expected of me. 3. I acknowledge that I should check and get permission from my local physician before starting any training and exercise routine. 4. USG Fitness Sdn Bhd respects your right to privacy and maintaining your privacy is very important to us. We will not sell your email address to anyone, and your personal identity will not be associated with the address. 5. I agree to: 1) provide true, accurate, current and complete information about myself filled in a registration form, and; 2) maintain and promptly update the information I provide to keep it true, accurate, current and complete. 6. I agree to pay for my entire coaching term in one lump sum. No refunds will be made after my payment has cleared. Once this purchase is made, it is non-refundable and non-transferable. 7. I grant USG Fitness Sdn Bhd permission to take progress photos of myself, and to publish those photos for any lawful purpose, including, but not limited to, their website, social media accounts and promotional materials, either digital or in print, in perpetuity. I also grant permission to use my name.